Specification: --Android 6.0 Marshmallow --7.85'' IPS Screen 1024x768 --Quad Core 4x1.2 GHz --32GB storage, 1GB RAM --Dual Camera --Wireless N (802.11b/g/n), mini HDMI, Bluetooth --G-sensor What's in the Box: --Dragon Touch X80 Tablet --AC Adapter --USB Cable --User Manual. 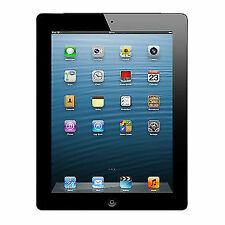 New ListingApple iPad 2 64GB Wi-Fi + Unlocked- EXCELLENT W/ ACCESSORIES!!! This iPad has been kept in a case for all its life and has limited signs of prior use. If you look through the photo's, you will see that the iPad is in very good condition overall. And functionally, the iPad works like just like new. 4.5 out of 5 stars - Apple iPad 2 64GB Wi-Fi + Unlocked- EXCELLENT W/ ACCESSORIES!!! 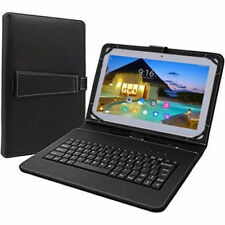 71 product ratings71 product ratings - Apple iPad 2 64GB Wi-Fi + Unlocked- EXCELLENT W/ ACCESSORIES!!! Tablet is in good condition. Tablet only. 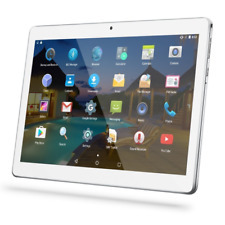 Specification: --Google Android 5.1 Lollipop --Intel SOFIA 3G-R Quad Cores CPU --1280x800 HD 178 degree IPS Screen with 10 point multi-touch --1 GB RAM 16 GB Storage and up to 64 GB expansion --Dual Camera (Rear: 2MP) --Bluetooth 4.0, Wi-Fi, Micro USB, FM Radio installed. Bright, clear and quick. Surprise -- that barely visible light blue handset Icon in the lower left is regular cell phone app! All quick and easy. I have nothing but praise for the Utopia one for one compared to my super 10" of last year -- plus the bonus Android 7.0 Nougat and cellphone. US stock! eyes protection,Educational Apps! Apple iPad 2 16GB, Wi-Fi Cellular (Unlocked), A1396, 9.7in - White. 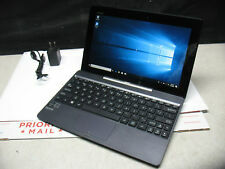 Condition is Seller refurbished. Shipped with USPS Priority Mail. USB charging cable not included. Tablet only. 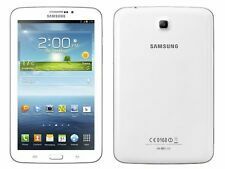 Samsung Galaxy Tab 4 SM-T337V. No other accessories included. Apple iPad 2 16GB, Wi-Fi + Cellular (Verizon), 9.7in - Black MC755LL/A ISSUES! IPad has been cleaned and reset. There is a small white spot defect in the screen (circled red). This model does not have a SIM card slot. We have a limited knowledge of their prior use. No exceptions. 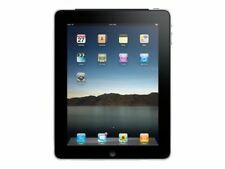 4.5 out of 5 stars - Apple iPad 2 16GB, Wi-Fi + Cellular (Verizon), 9.7in - Black MC755LL/A ISSUES! 149 product ratings149 product ratings - Apple iPad 2 16GB, Wi-Fi + Cellular (Verizon), 9.7in - Black MC755LL/A ISSUES! THERE IS NO SIM SLOT WITH THIS DEVICE! Condition Guide(Item condition in blue). A: May be a very minor surface scratch or two on screen. Possibly a tiny mark/blemish or two around the bezel or back area.